While Hanoi’s still not as popular jumping-off point for the rest of Vietnam as Ho Chi Minh City, it’s a convenient base for several tourist spots nearby. There are several sights in the city surrounds, including cave-shrine of the Perfume Pagoda and the citadel of Co Loa. 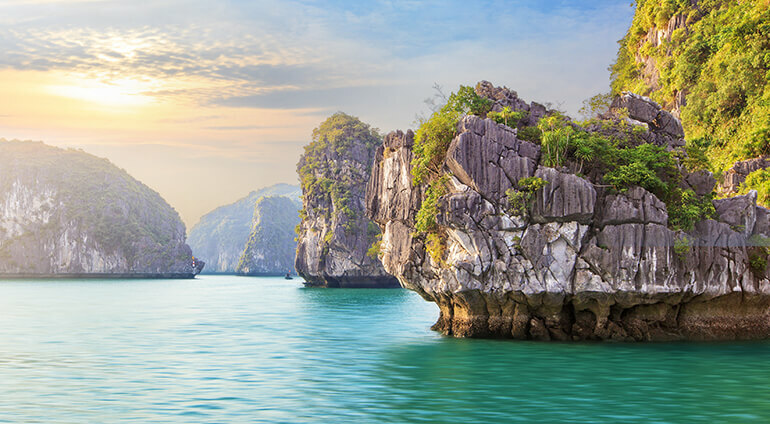 Don’t miss out on seeing the breath-taking Ha Long Bay, which you can travel to on one of the many day excursions from central Hanoi. Alternatively, hop on the train from Hanoi to Lao Cai for an overnight stay in the spectacular northern mountains of Sa Pa, where you’ll sample rural life in Vietnam.